Celebrate with us at Madison Square Tavern conveniently located in Manhattan's Chelsea section. The day you consume Coronas and tequila shots until you cannot count to diez. 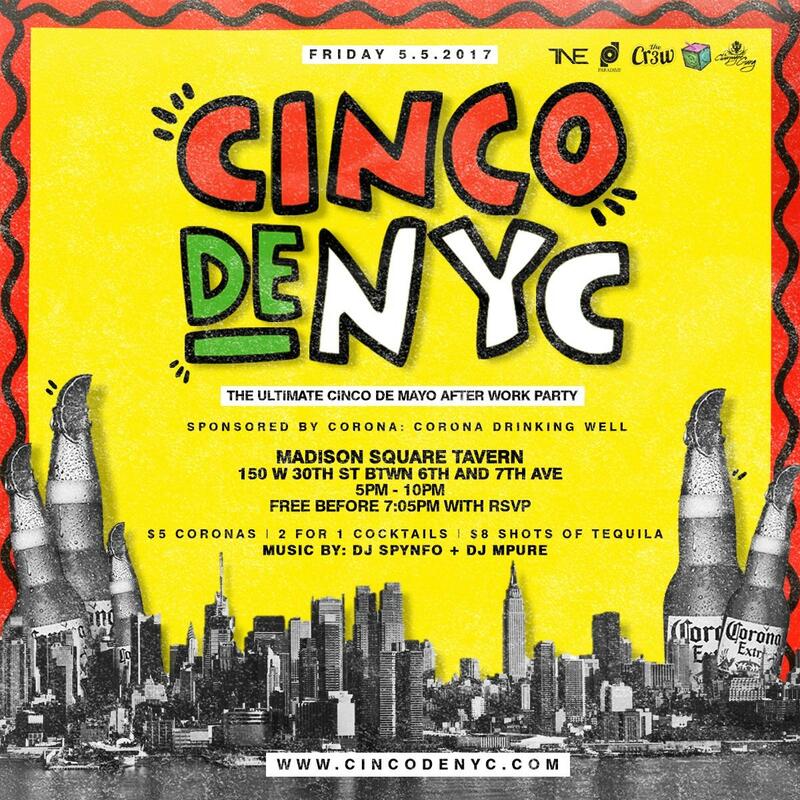 NYC's BIGGEST CINCO de MAYO AFTER WORK PARTY for FIVE YEARS! The day you consume tequila shots until you cannot count to diez. TAKE ADVANTAGE FREE ENTRY! Enjoy the happy hour which includes drink and food specials! We're gonna charge you now, but we still have drink specials! Everyone there is lit, so logoff your computer and come through!